Welcome to Meet the Game Builder – CodeMonkey’s blog segment where students from all over the world share their experiences on what it’s like to build a game for the very first time on CodeMonkey. 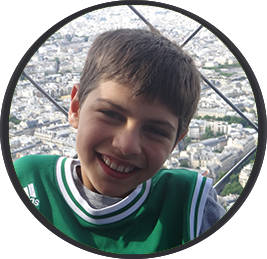 Today’s post features Roi, a talented 10 year-old game designer from South Carolina. 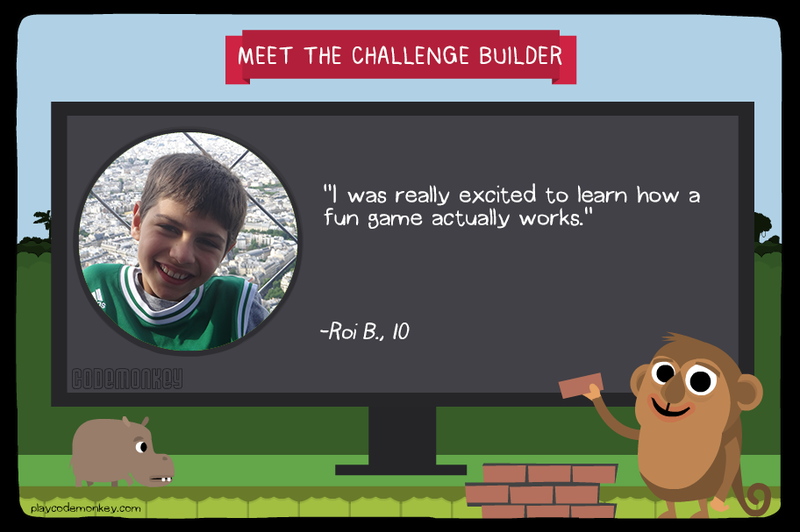 So far, Roi has built 7 of his very own games, each packed with tricky levels and fun characters. His game Junglemania 2, Awesomeness Stage is similar to CodeMonkey’s Platformer Course, yet it is full of its own unique surprises that Roi creatively thought up. “I thought about games that I know and like, and decided to try to modify and combine them. The Game Design Course was really fun and cool. I was really excited to learn how a fun game actually works. [On average, it takes me] about an hour and a half [to build a game]. Click here to play Roi’s game!